With a funkier sound, a new emphasis on danceable rhythms and the addition of pop songs by the Beatles and others to their repertoire, the Crusaders displeased many critics but greatly expanded their audience. For Mr. Sample, plugging in was not a big step. He had been fascinated by the electric piano since he saw Ray Charles playing one on television in the mid-1950s, and he had owned one since 1963. Nor did he have any problem crossing musical boundaries: Growing up in Houston he had listened to and enjoyed all kinds of music, including blues and country. They didn’t find themselves in much trouble with the record-buying public. The Crusaders had numerous hit albums and one Top 40 single, “Street Life,” which reached No. 36 on the Billboard pop chart in 1979. Mr. Sample wrote the music and Will Jennings wrote the lyrics, which were sung by Randy Crawford. By the time “Street Life” was recorded, Mr. Henderson had left the Crusaders to pursue a career as a producer. Mr. Hooper left in 1983. Mr. Sample and Mr. Felder continued to work together for a while, but by the late 1980s Mr. Sample was focusing on his solo career, which had begun with the 1969 trio album “Fancy Dance” and included mellow pop-jazz records like “Carmel” (1979). His later albums included the unaccompanied “Soul Shadows” (2008). His last album, “Children of the Sun,” is to be released this fall. He also maintained a busy career as a studio musician. Among the albums on which his keyboard work can be heard are Marvin Gaye’s “What’s Going On,” Joni Mitchell’s “Court and Spark” and “The Hissing of Summer Lawns,” Tina Turner’s “Private Dancer,” Steely Dan’s “Aja” and “Gaucho,” and several recordings by B. B. King. 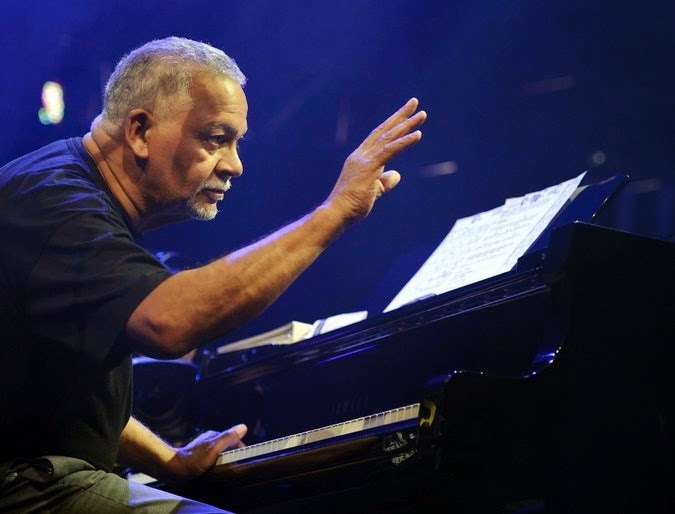 Joseph Leslie Sample was born on Feb. 1, 1939, in Houston, the fourth of five siblings, and began playing piano when he was 5. His survivors include his wife, Yolanda; his son, Nicklas, a jazz bassist with whom he occasionally performed; three stepsons, Jamerson III, Justin and Jordan Berry; six grandchildren; and a sister, Julia Goolsby. Mr. Sample’s fellow Crusader Mr. Henderson died in April. In recent years, Mr. Sample had worked with a reunited version of the Crusaders and led an ensemble called the Creole Joe Band, whose music was steeped in the lively Louisiana style known as zydeco. At his death he had been collaborating with Jonatha Brooke and Marc Mantell on a musical, “Quadroon,” which had a reading in July at the Ensemble Theater in Houston.